“Think About Us” is the third track on Little Mix’s fifth studio album LM5 (2018). The song was released alongside the album on November 16th, 2018. It was first revealed in an Instagram Live, where member Perrie Edwards stated it was her favorite song on the album. 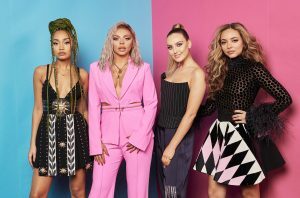 The song was announced as the second single from LM5 on January 22, 2019 via the group’s Twitter account.